Condition: Made on paper of average thickness, these drawings are not hanshita-e, which were made on very thin paper, and which were destroyed in the process of carving the key-block. The condition of this drawing is very fine. 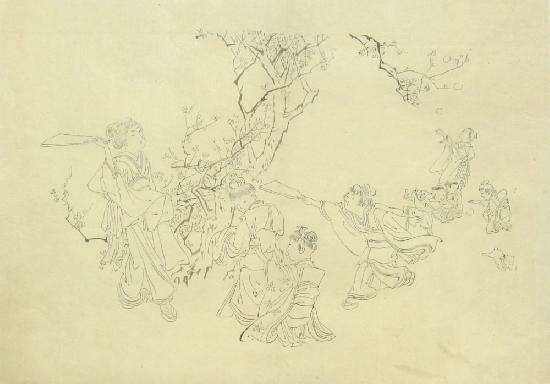 Literature: Museum of Art, Kochi catalogue, 2003, where a large group of woodblock prints depicting children is shown - this drawing is attributed to Shôun, no 100% guarantee can be given.